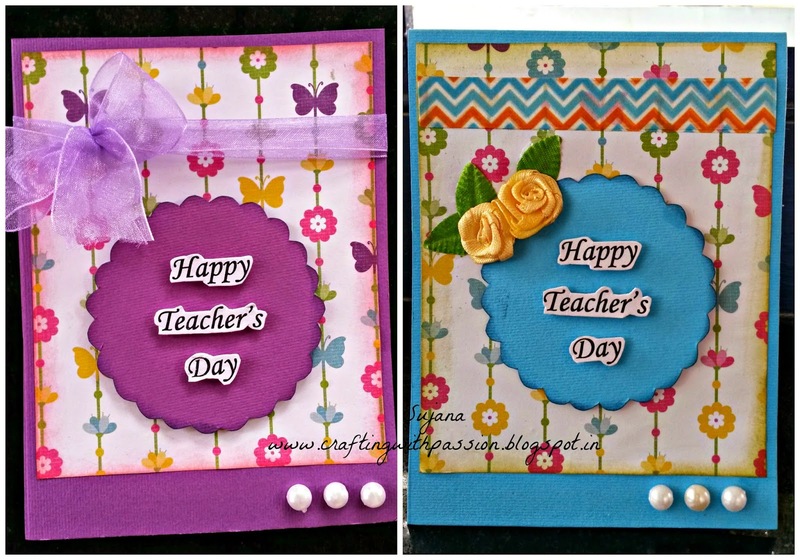 Today am sharing a few cards made for Teachers' day. Have a look at it. 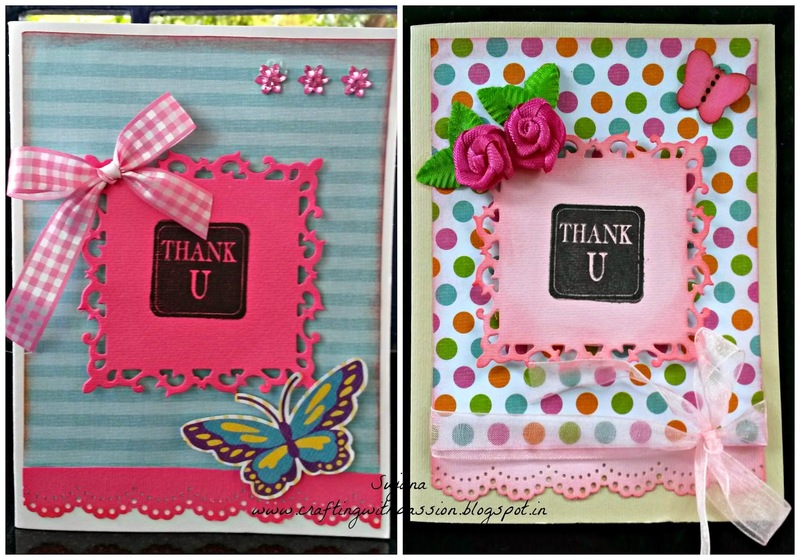 Its all easy to do cards, I used my scrap PPs mostly. My favourite is the 3rd design. Loved how the 'pencil' turned out. PPs, washi tapes and die cuts can really jazz up any project quickly and beautifully. Do tell me which one is your favourite card. Also dont forget to link up for my blog candy here, it closes on Sep 10th. Amazing cards Sujana. I love them all, difficult to choose a favorite. Great set of cards! Thanks for joining the Sentimental Sundays challenge, hope to see you again soon. Any teacher would be delighted to receive one of these cards. 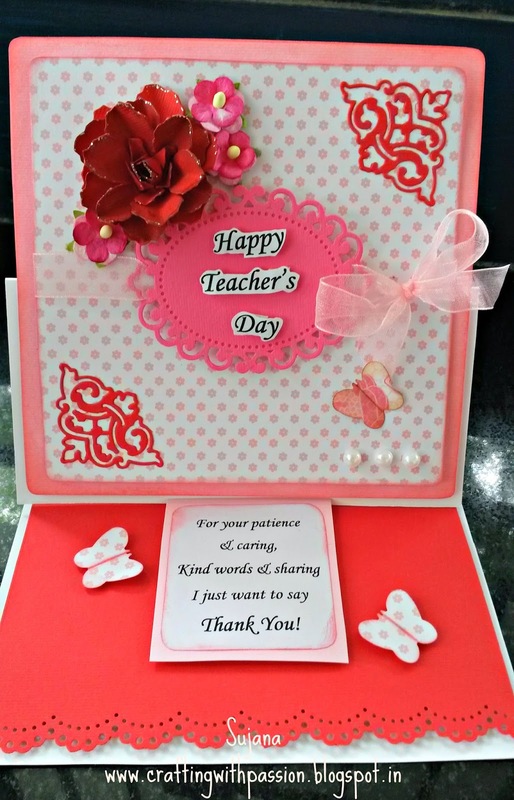 They are all bright, cheerful, pretty and contain a lovely message. 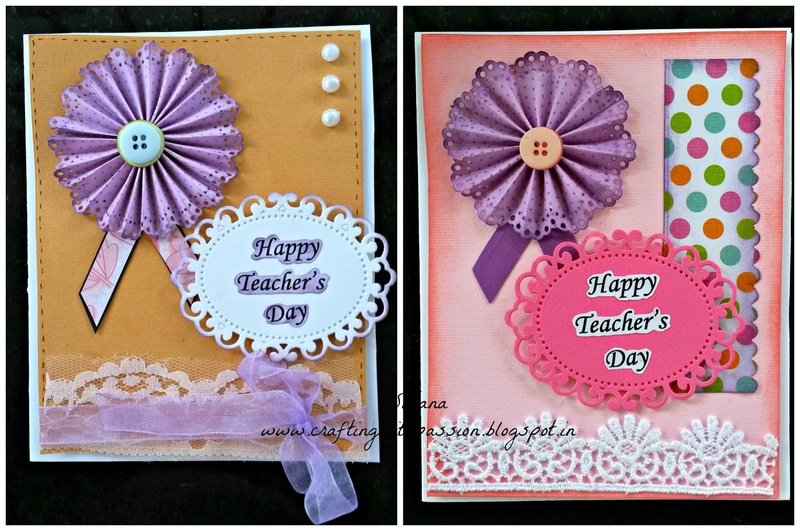 Thanks for joining our Back To School challenge at CRaft Your Passion this week. I hope we see you again soon. We have a forecast of cooler, rainy weather for the next several days and I'm hoping they are wrong. Enjoy your beautiful weather.. I know sometime you will need it. Just bookmark the handmade pop up cards to your website.. They have verry beautiful samples. I love them.